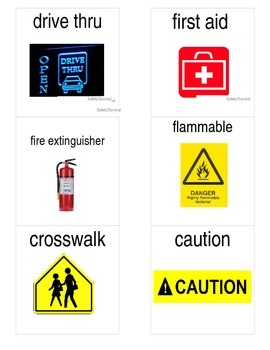 There are 25 flashcards included with safety/survival words like: caution, do not enter, bus stop, parking, etc. Pictures are included of what the signs/words would look like in the community on a sign. They are a great tool for special education to practice life skills. 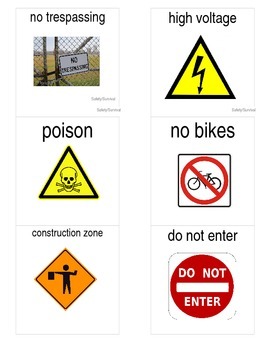 Students can practice reading these words and then generalizing the words and pictures to other environments when they see them in real life.